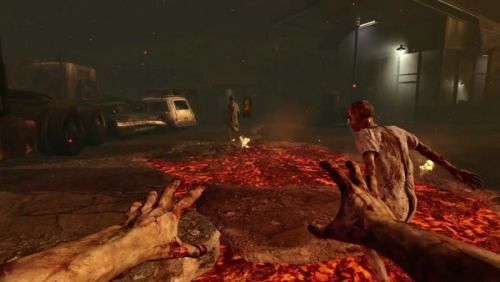 Finally, a Zombies mode to play as the zombies! The recent leaks of the upcoming Call of Duty: Black Ops II DLC flooded the internet highways, having Activision to finally step in to confirm everything spoken of. Coming by the end of this month, the “Revolution” DLC will hit Xbox, adding lots of new maps and a refreshing Zombies mode. As the developers explain, the new Zombies mode, “Turned”, has gamers playing a classic “King of the Hill”. One player becomes the survivor and is hunted down by the other zombie players. The goal of this gametype is to stay as the human for a long as possible and rack up zombie kills to score points. The first one take him down becomes the new human survivor and the cycle continues. Rinse and repeat! 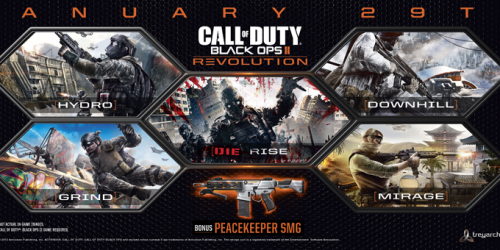 Look out for the new “Revolution” DLC to arrive on January 29th (previously stated for January 27th) for the Xbox 360 at 1200 Microsoft Points. All other platforms will get theirs shot at it about a month later. Page created in 0.2529 seconds.